Chef Alon Shaya of New Orleans’s Domenica thinks we’ll be seeing a lot more goat in our grocery stores. This hearty sauce contrasts rich goat with tangy olives. 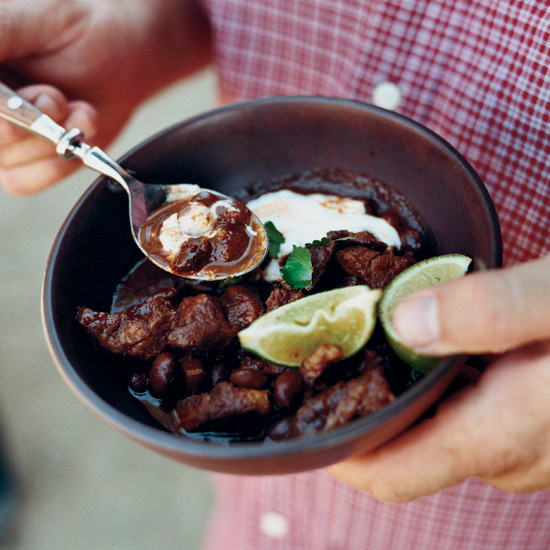 Spiced with two types of chiles, this mellow chili contains both braised goat shoulder and Eye of the Goat beans. This Thai-inspired stir-fry is a great way to feature goat without the usual long hours of braising or roasting. Best Chili in the U.S.